It produces digestive enzymes for protein, carbohydrate and fat such as protease, lipase and amylase. It has an absolutely crucial function in regulating sugars in the body by producing insulin. Insulin is a substance – a hormone that helps the cells store and utilize carbohydrates. Acute – a less common but more serious condition where digestive enzymes get activated inside of the pancreas. The enzymes may affect and/or start “digesting” the internal abdominal lining – the peritoneum. This can obviously lead to serious life threatening complications. Chronic – a more common but less serious condition that may often smolder for months. This condition is not as dangerous and often doesn’t cause any visible symptoms, however it is possible that chronic pancreatitis may turn into the acute form if unattended. 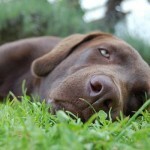 In this article, i would like to focus on the causes of pancreatitis and explain why it has become such a commonly diagnosed condition in dogs. 1. 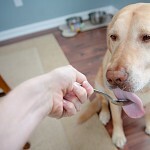 Processed food – kibble. 2. Food that is too fatty. 3. Feeding too frequently and giving treats. 4. Nutrient deficiencies – minerals, vitamins and amino acids. 5. Injury to the region of thoraco/lumbar junction – roughly the middle of the dog’s back. 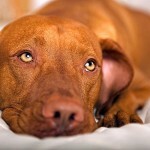 Is one of the most prevalent causes of pancreatitis. A cheap, unbalanced, and grain based food is the most common culprit. However, do not be mistaken. 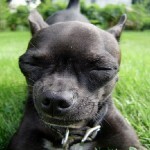 Even the so called natural or high quality kibble is hard on the pancreas. 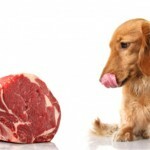 For many thousands of years dogs evolved eating meat along with some plant material like grass and fruit. 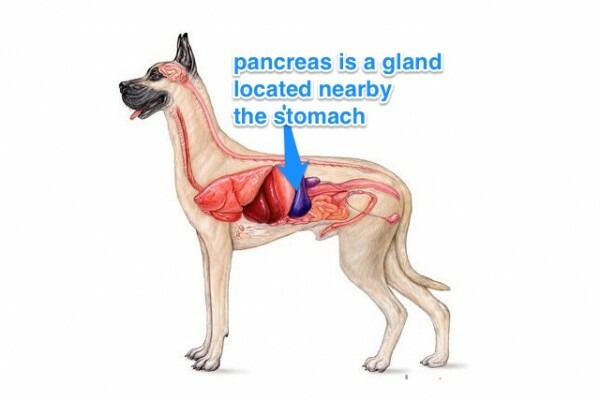 The canine pancreas is not designed to digest large quantities of grains including wheat, corn or rice. It gets stressed, overburdened and finally inflamed. Is another common reason. Fat is a cheap food ingredient and manufacturers often reach for it to reduce the manufacturing costs. Surprisingly, even some special digestive or hypoallergenic diet formulas have fat and corn as their main ingredients. Fat too stresses the pancreas as it has to produce more lipase (the enzyme that breaks down fat). This predisposing factor is often forgotten. Many people fall in for the sad puppy eyes when a dog begs for food or believe that dogs need to eat as frequently as people. If you look at how dogs evolved over the millennia, they would often fast for long periods of time when food was not available. This was a great opportunity for the pancreas to rest. Usually I suggest not feeding more than twice a day but once a day with one day per week of fasting is perfect. 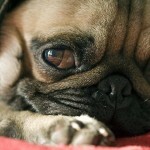 If your dog has elevated pancreas enzymes, you also need to look at treats and how often you give them. Grain is often in treats and frequent “treating” gives the pancreas no rest. This in turn makes it more prone to inflammation. Are one of the most troublesome problems in medicine and are commonly completely unaddressed by healthcare practitioners. Minerals are essential for the proper functioning of every organ and without them, the pancreas becomes weaker and more prone to inflammation. For example, magnesium alone participates in more than 300 metabolic reactions in the body. Agricultural soils are frequently not being replenished. Issues including food transportation and lack of composting and recycling are leading to deficiencies that may transfer to the whole food chain including to our dogs. The same applies to vitamins, amino acids and essential fatty acids. Many of them cannot be made by the body and need to be supplemented. Do not strike most people as a possible cause of pancreatitis but they are a very important contributing factor. The space between the last thoracic and the first lumbar vertebra supplies energy flow to the pancreas. When the back gets injured or tight in this region, the pancreas gets weaker and may get inflamed. That is why I recommend that every dog with pancreatitis gets checked by an experienced animal chiropractor, physiotherapist or an osteopath to treat the muscle spasm.